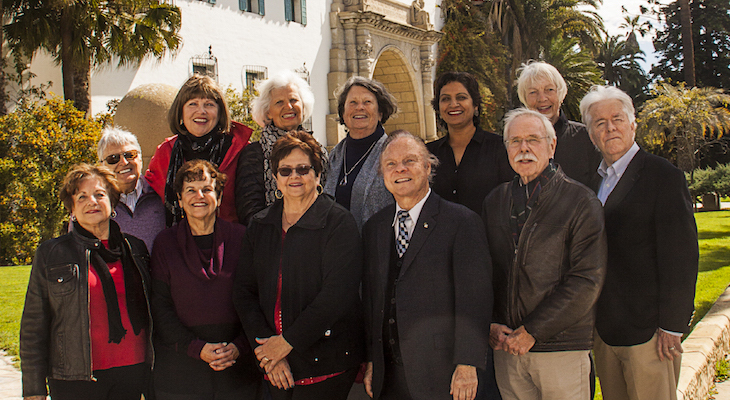 The Santa Barbara County Courthouse Docent Council proudly welcomes its Class of 2019. Last year, the docents guided over 9,000 people through the Courthouse in a variety of tours, including the recently-opened Clock Gallery. The Council also finances improvements to the building, its grounds and furnishings. The Courthouse is located at 1100 Anacapa St. For more information, call 805-962-6464. We are too busy fixing the things that need attention while the women are away at the courthouse and buying more tools at Home Depot & Lowe's. 3:1 female. Most docent situations tend to be even more so. Is that because men die younger, are more handicapped, stay in the workforce longer, aren't interested or can't be bothered? It can't be because they're less educated or stupid. Just curious. Guys, what's the story? A fine looking crew. Thank you for your service. I have enjoyed a tour every time a guest comes into town....never tire of it and the docents teach me something I did not know every time! Much appreciated!